Photo by Patrick Mackin, via Flickr. Click above to see the photo on Patrick's Flickr page. 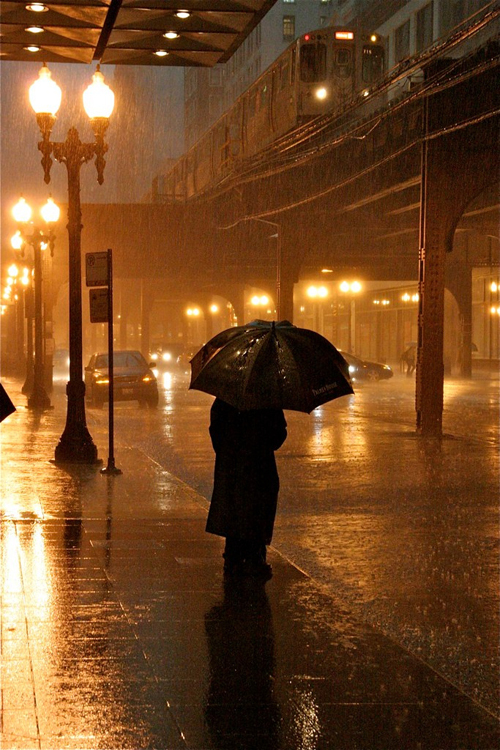 This brilliantly composed photo by Patrick Mackin comes from Chicago and shows a doorman looking for a cab in the rain. As someone wrote in the comments, the photo is reminiscent of an old movie. Patrick took the photo in June with a Canon EOS 20D. He used a shutter speed of 1/80th of a second, an aperture of f/9.0, a focal length of 46 mm and an ISO setting of 3200. If you would like to a submit a photo or photos of something transportation-related, post them to Metro’s Flickr group or email them to sourcemetro@gmail.com. The photos we’ve featured can be seen in these galleries on Flickr. Or you can click on the ‘art of transit’ below to view our daily posts.